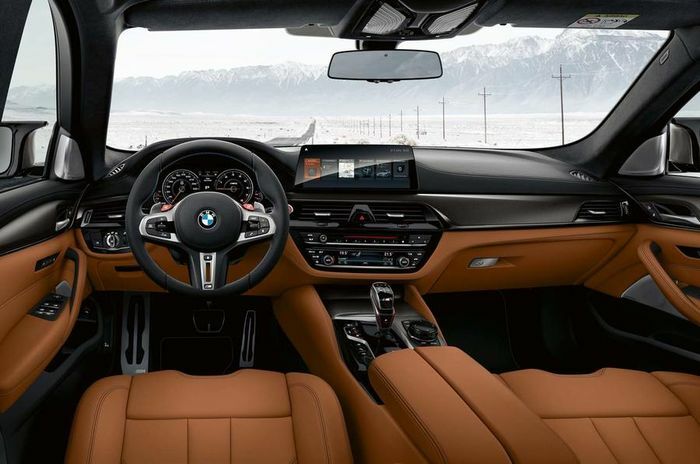 These are the first official pictures of the BMW M5 Competition, following one of 2018’s ridiculous amount of new car leaks last week. 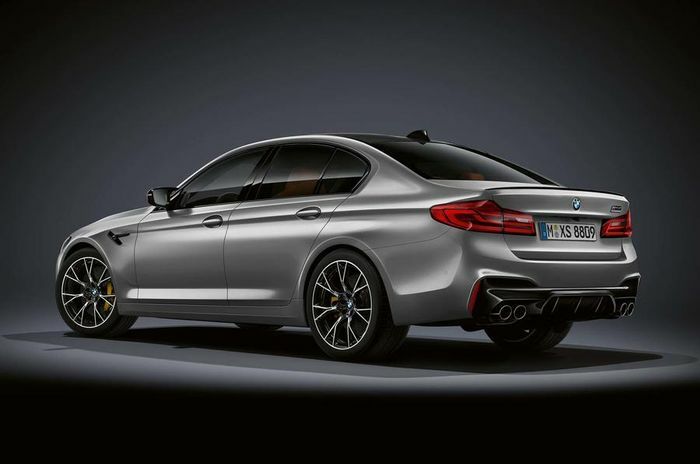 The numbers that emerged have been confirmed as correct, so you get an official 616bhp that, via the car’s switchable four-wheel drive system, can catapult the car to 62mph in 3.3 seconds and on to 124mph in an equally bonkers (for a practical saloon) 10.8 seconds. Peak torque for the E63 S rival is reportedly maintained for an extra 200rpm to help produce the extra performance. The 553lb ft ceiling now extends right from 1800rpm to 5800rpm. The damped engine mounts have been switched for firmer ones to help speed-up engine responses, not that we thought it particularly needed it when we drove the standard car. Added to those is a new suspension setup with firmer springs and a 7mm lower ride height. 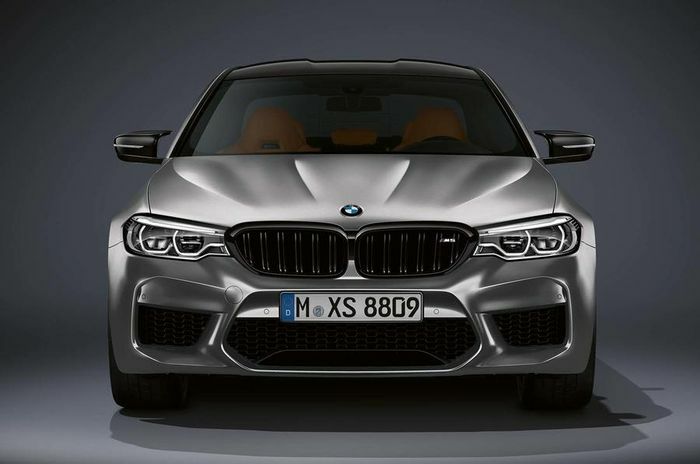 Unlike the M2 Competition, which replaced the ordinary M2, the hotter M5 will be sold alongside its plainer brother. BMW already has a similar arrangement with the M3 and M4 Competition cars. 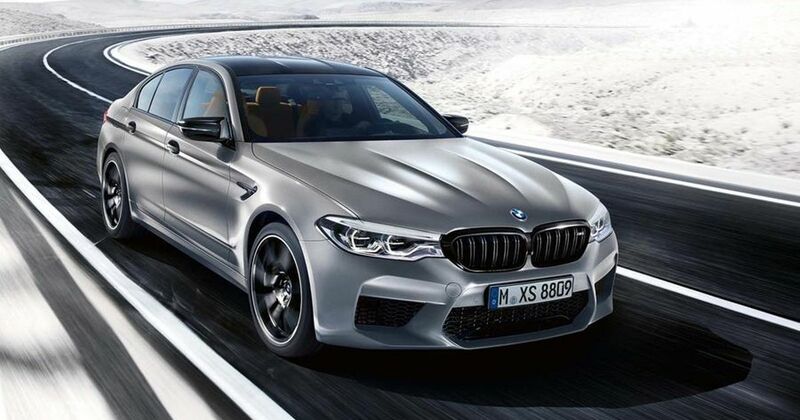 Deliveries for the new M5 Competition are expected to start in September, with prices yet to be confirmed but likely to tickle their way into six figures. The standard car starts at £89,645.